going to be HUGE - please get your orders in early. 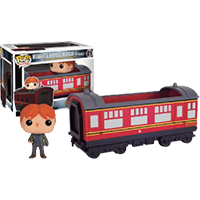 The Hogwart’s Express Traincar with Hermione POP! Ride stands around 12cm tall by 15cm long.